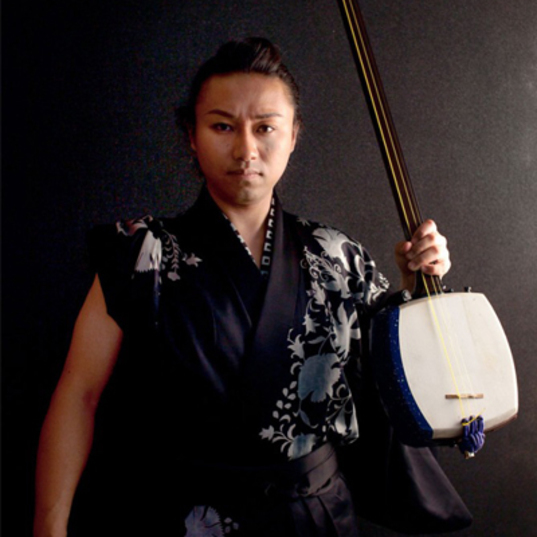 eight, he started to learn the Shamisen under direction of Chikuei TAKAHASHI, disciple of Chikuzan TAKAHASHI, the master and founder of Tsugaru Shamisen. Austin, NY, Chicago, Auckland and Los Angeles for his first American tour. In the same year, he traveled to Berlin for his « Three days live » concerts, where he was welcomed by international medias. Since February 2009, he has given his annual tour of Europe and mobilizes numerous spectators and press. recognition from numerous fans of all ages.